Drivers are required to give a minimum of one metre when passing a cyclist where the speed limit is 60km/h or less or 1.5 metres where the speed limit is over 60km/h. Cyclists have less protection than motorists and are more likely to be injured if a crash happens, so they need adequate space when on the road. The rule applies to all types of vehicles including cars, motorbikes, trucks and buses when passing a cyclist. Drive not completely in a single line of traffic. 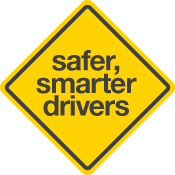 Penalty for drivers is $287 fine + $60 victims of crime levy, and 2 demerit points. Cyclists of all ages are allowed to ride on footpaths. Footpaths provide a safe and sometimes more direct alternative for cyclists. Give a warning (by bell, horn or other means) to pedestrians or others using the footpath, if it is necessary to avert danger. It is still an offence for a cyclist to ride where a sign prohibits bicycle riding on footpaths which are considered unsuitable for shared use. 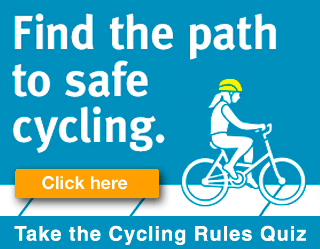 Where can I find all of the road rules related to cyclists? The Cycling and the Law Handbook is a comprehensive guide to all the road rules that apply to cyclists. What if a driver can’t give a metre? Drivers will need to check their surroundings to ensure it is safe before indicating and passing the cyclist leaving at least the minimum distance. If it is not safe they will need to slow down and wait until it is safe to pass. Will a cyclist need to give a metre when passing a vehicle? Cyclists are expected to keep a safe distance when passing other traffic. However, the minimum passing distance will apply to motorists, not cyclists. This is because of the greater risk faced by cyclists when motorists pass them too closely. Cyclists do not pose the same risk to motorists. What if a cyclist pulls up beside a vehicle within the minimum passing distance? If a vehicle is stopped, for example at traffic lights or in a line of traffic, and a cyclist stops beside it within the minimum passing distance, the driver will not be committing an offence. When the traffic starts moving the cyclist is likely to ride ahead, and the driver can only pass when they can safely leave the minimum passing distance. You may ride on either the road or the footpath. You may ride on the footpath even if there is a bicycle lane on the road. If you are riding on the road you will still be required to ride in a bike lane where one is provided. When riding in a pedestrian area (the footpath, or shared path), you are required to keep left and give way to pedestrians. Some footpaths may be signed "no bikes" on a sign pole or path marking, in which case you must use the road instead. Is it safe for cyclists to ride on footpaths? Cyclists are more likely to use the footpath where the road is considered unsafe or inconvenient (e.g., one-way streets) rather than for the entire trip. Research suggests that riding on the footpath does not increase crash risk and that cyclists are more careful of pedestrians and travel more slowly on footpaths than on shared paths. How will I know if a cyclist is approaching on a footpath? Cyclists are required to give warning by using their bell or horn or other means, if necessary to avert danger. In conditions of low light they are required to display a white light to the front and a red light and reflector to the rear. Will footpaths be marked with lanes separating bicycles from pedestrians? No, because pedestrians would be restricted to using half the footpath and commit an offence under rule 239 if they strayed into the part designated for the use of bicycles. What is the rule for motorists backing out of driveways? A driver entering a road from private land or a car park etc must give way to anyone using the footpath – pedestrians and cyclists.